I am a HUGE fan of take out. Not just because I think the food is good (I do), but because I just love the convenience of it. Don't get me wrong, I love to cook - clearly. But there's something about food showing up at your door that can't be beat. Until now. This Beef & Broccoli recipe is better-than-takeout good - the marinated flank steak is extra flavorful, the sesame seeds add the perfect crunch, it's got a little bit of a kick...what more could you want? I love/hate to admit that it also just tastes and feels healthier than takeout, meaning I should probably hold back on ordering takeout. Also - that's a great excuse to use this Beef & Broccoli recipe as a meal prep and have it for lunch all week. Flank steak, which is what you'll need for this recipe, often comes in larger (read: more than single serving) portions, so it's great that this recipe is ideal for meal prepping and having multiple nights in a row or for lunch for the week. Since it's made in the Instant Pot/crock pot (stove top directions included too), it's also such an easy recipe to come home to. It only takes about 10 minutes to finish up. 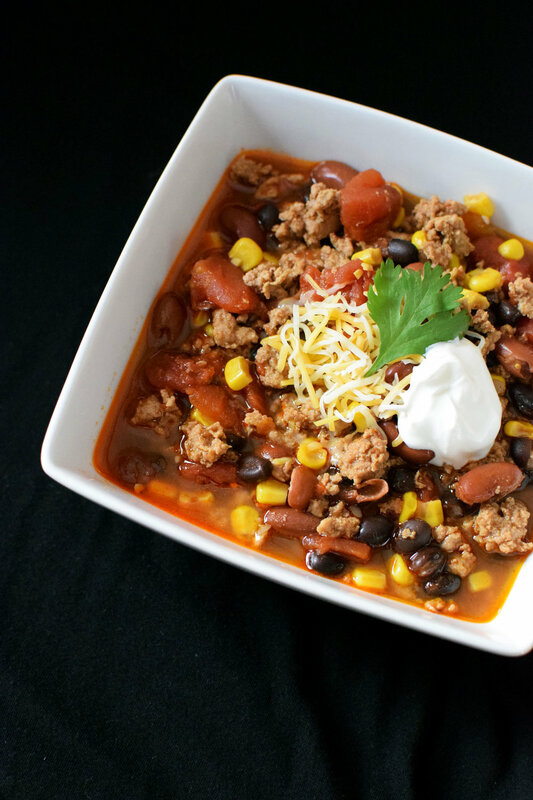 My favorite way to cook this recipe is to use the slow cooker function on my Instant Pot, because it allows me to cook the food before I get home from work, but also takes advantage of the Instant Pot technology keeps it warm all day after the few hours of cooking are over. Perfect when you work in a school building for 11 hours a day. Wondering how you could ever possibly put something in your Instant Pot/slow cooker in the morning AND shower before work AND down some coffee??? First, do it once and you'll realize it's SO worth it. Second, this recipe is GREAT for dump and go - I mix the sauce the night before and keep it in a tupperware, slice my meat ahead of time and store in the fridge in a gallon zip lock bag, and dump it all together in the morning and hit "ON". You can definitely, definitely do that and come home to better-than-takeout Beef & Broccoli ready and waiting (well, for 10 more minutes of simmering, but close enough). Gluten Free As long as you confirm all of your ingredients are gluten free, this recipe is gluten-free friendly. Double check your soy sauce. 1. Make the sauce by combining 3/4 cup beef broth, 1/2 cup soy sauce, 1/4 cup brown sugar, and 1 tablespoon sesame oil and whisking to combine. If you like heat, add a pinch of red chili flakes to the sauce now. 2. Slice 1 pound of flank steak thinly, against the grain. Add to your pot (for whatever cooking method you're using). 3. Pour the sauce over the meat and stir to coat. Cook based on your cooking method: Instant Pot: 10 minutes high pressure NPR // Slow cooker: 4 hours on low // Stove top: simmer on medium heat for 20-30 minutes, until meat reaches desired doneness. 4. If you'd like to serve this dish over white rice, start cooking that now. 5. 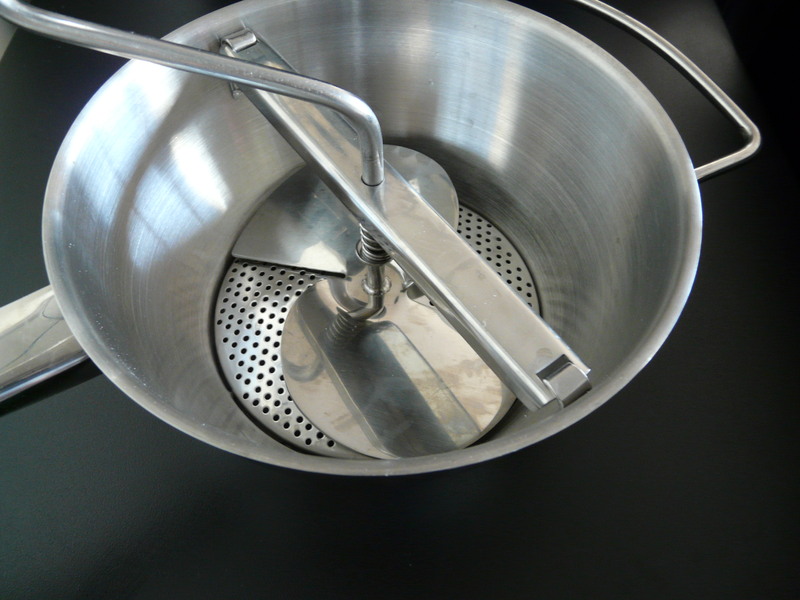 Get 1-2 inches of water boiling in your steamer. Once boiling, add the 3 cups broccoli florets and steam for 5-7 minutes. 8. Once the meat is "done" cooking, add this slurry to the steak and sauce pot. 9. Continue to cook 10-15 additional minutes on low (stovetop & slow cooker - for Instant Pot, turn Sauté feature on low), allowing the sauce to thicken. 10. Serve beef over rice with broccoli, topped with sesame seeds for garnish. STORING - Store in the fridge for up to 5 days in an airtight container. This has been my recent go-to meal prep recipe, so I've eaten it all week for lunch and found it to taste just as good on day 1 as day 5. The flavors really infuse into the meat so it tastes better than takeout. LUNCH TOMORROW - As I said, this is the perfect lunch. The bowls look perfect with the beef and broccoli spooned over some nice white rice and sprinkled with sesame seeds. Your coworkers will be jealous. EXTRA INGREDIENTS - If you end up with extra flank steak (especially if it's on sale and you buy extra!) I recommend Pinch of Yum's Slow Cooker Beef Ragu. I ate this for 5 meals straight one week in January and had 0 complaints. If you end up having extra broth, try using it up in a cozy French Onion Soup recipe. Hang on to that soy sauce, brown sugar, and sesame oil for some other Millennial Menu favorites coming at you in the future. I grew up enjoying homemade applesauce in the fall, made on the stovetop and finished with a food mill. I realized that I could re-create this recipe using my beloved Instant Pot (in just 8 minutes!) and my Vitamix. The recipe came out perfectly and was so easy to make - and much easier than hand cranking the food mill for half an hour. The other great thing about applesauce is that it really doesn't matter what apples you use. It's actually better to not use all of the same kind. For this recipe, I used apples from my CSA, which came with a bunch of different varieties of apples. Macintosh or macoun are a good base, but adding in a few granny smiths or your other favorite varieties will give the applesauce a good range of sweet and tart flavors. For sweeteners, I love sweeter things, so I used refined white sugar (mmm!) You can also use maple syrup or honey, if you prefer, and add it after the cooking process to your own personal taste. Sadly, I ate all of my applesauce within a few days, enjoying it as a snack at work whenever I wanted a little bit of sweetness to fuel me through lesson planning or grading papers. If you can resist, applesauce freezes well, meaning you can enjoy fall all year round. Other recipes with these ingredients: Apples: the perfect snack! 1. Peel all of your apples and cut into relatively thin slices. 2. Add the apples, 1 cup water, 1 teaspoon cinnamon, and 1/2 cup white sugar (or sweetener of your choice) to the Instant Pot. You don't even have to stir. 3. Turn the Instant Pot on high pressure for 8 minutes, or turn your slow cooker on low for 4 hours. Walk away! 4. Once the apples are done cooking, you'll likely want to puree your applesauce so it's smooth. I found that adding about half the applesauce to my beloved Vitamix, blending it for a second or two on high, and stirring it back into the rest of the more chunky applesauce led to a good consistency. You can do the same in a regular blender or with a handheld immersion blender, if you have one, until the applesauce is your desired consistency. Enjoy! STORING - Store in the fridge for up to 5 days, or a few months in the freezer. Applesauce freezes really well since it's just fruit, and there's nothing better than tasting like you're at the orchard in the dead of winter.